Unceasing prayer is so important and also very possible. The following discussion, centered on the Old Testament Tabernacle and the burning of incense, will help explain how we can pray unceasingly. What makes the incense burn? 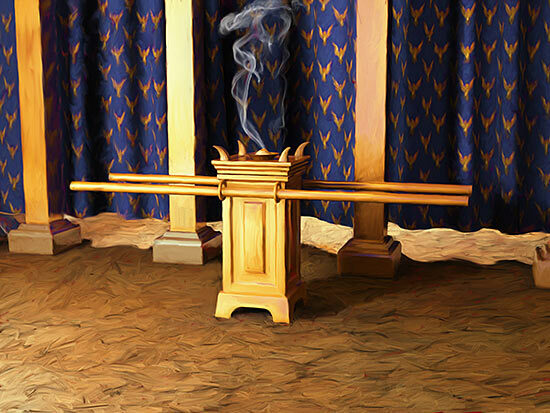 As we have discussed in a previous post, the incense upon the golden altar was symbolic of Christ and His prayers. And the aroma of those prayers rose up to God only by the burning coals of the brazen altar, which prefigured His death for our sins on the cross. But the question before us now is: what started (or ignited) the incense (which for us is the prayers) on the golden altar? And what kept the prayers going? Well, I believe it was, and is, the Holy Spirit. He is the fire that burns the coals and ignites the incense. And so, He also is the one who gives us prayer passion. Yes, He burns in our heart the incense of Christ in us, which rises up to the Father as prayer desire—the desire of both the Father and the Son. For the Holy Spirit works in us to melt our heart together with the Father and the Son, so that we pray the same things as He does with the same holy passion. Why was (and is) the burning of incense to be perpetual? Perpetual means continual, without stop, and lasting for eternity. In other words, the burning of incense was never to go out (Ex. 30:8). Realistically, it probably did go out on occasion. And there isn’t any tabernacle or golden altar now—so it’s out! It didn’t last forever! So what did it really mean? Well, again, it was symbolic. It prefigured the perpetual intercession of Christ for us. And that will always be true. Hebrews 7:25 tells us that “He always lives to make intercession for us.” His intercession will keep us and sustain us forever. But the perpetual burning of incense also prefigured the believer’s unceasing prayer and worship, for we are called by God to be always yielded to Him, offering our bodies always in constant service of worship (Rom. 12:1). Likewise, God commands us to be always filled with the Spirit (Eph. 5:18), rejoicing and giving thanks always, and praying without ceasing (1Thess. 5:16-18). This does not mean, of course, to pray words continuously, without a break; but rather, to pray persistently, regularly, and to be always in a spirit of prayer. And this is entirely possible if God has filled us with His Spirit. 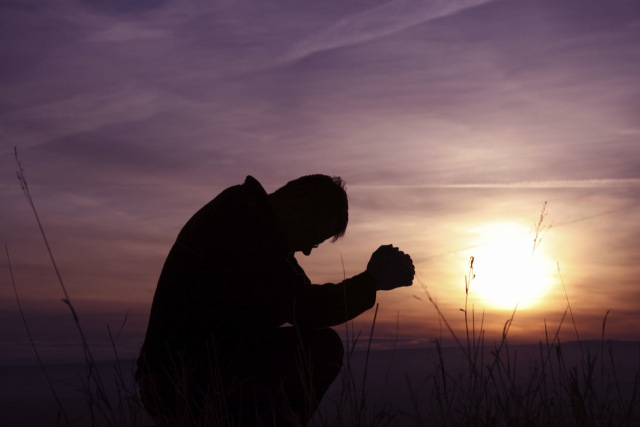 What makes our prayers perpetual? Well of course, we have just answered that question. The same One who has filled us accomplishes it and caused us to pray without ceasing—the Holy Spirit. He is the one who constantly intercedes in us and for us. Likewise, as well as helping us to be always in a spirit of prayer, He calls us aside for special times of prayer—when we pray both in spirit and in words. I would say He does it as often as we are willing to pray; that is, as often as we take the time for it. In other words, if we say to ourselves, “I want to pray seven times a day; at 6 a.m., 9 a.m., noon, 3 p.m., 6 p.m., 9 p.m., and at midnight,” I believe He will remind us of what we wanted to do by calling us aside for those times. But let me back up and say this: even though we choose to pray at certain times, He is the one that gives us the desire to pray at those times. And then, when we agree with Him on the times, He helps us to stick with it. And He may also burden us to pray at irregular times—right out of the blue! So we need to be ready to pray at all times. I want to emphasize in this section, however, that we should really try to set aside two times a day, morning and evening, for prayer. Why do I say this? Because two times a day, morning and evening, live coals were brought from the brazen altar to the golden altar to keep the incense burning. Thus, since the burning of incense was symbolic of prayer, I believe that that is an indication for us that God desires us to pray at those times. What will be the result of our regular prayer times? I believe that when we set aside certain times to pray, especially in the morning and evening hours, those times of prayer will serve to strengthen us spiritually. They will in fact keep the Holy Spirit burning in us throughout the whole day so that we will be more receptive to God, hence, more in the spirit of prayer, and more alert to keep praying for special needs whenever He calls us. But there is another result that we must consider. We read in Exodus 30:7-8 that Aaron burnt fragrant incense on the golden altar every morning and evening, which was at the same time that he trimmed the lamps. Consequently, at exactly the same time that the incense was re-ignited, when the fragrance became the strongest, the light of the candles burned the brightest. The meaning is clear. Since the light from the candlestick is symbolic of the light of Christ shining out to a lost world, and since the sweet aroma of incense is symbolic of Christ in our prayers, the light of Christ in us will be the brightest when we are praying in Christ. Prayer then makes a big difference in our evangelistic efforts—as to how people see us and respond to us. They will see Christ in us more strongly when we have taken the time to pray. But they will not only see the light of Christ in us; they will sense a sweet aroma in us, which hopefully they will discover to be the sweet aroma of Christ (2 Cor. 2:14-15). 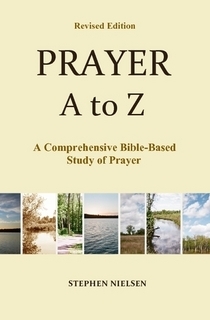 This entry was posted in Aroma of Prayer, Prayer A to Z Excerpts and tagged Golden altar of incense, old testament tabernacle, perpetual prayer, prayer without ceasing, The brazen altar, unceasing prayer. Bookmark the permalink. And today is a good day to act on this teaching!